BERYL lived through one of South Africa’s darkest chapters. Today, she describes a worrying link between her upbringing and where Australia is heading. BERYL Crosher-Segers was raised in a black-and-white world. Hospitals and corporate buildings had separate entrances for black and white people, as did train carriages and stations. Certain benches were “white only” — if you were black, you were made to stand. You couldn’t buy a house in certain suburbs without skin of a certain shade. 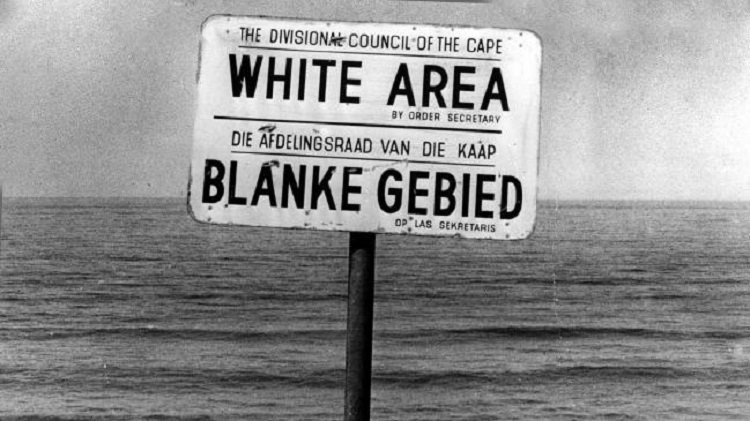 For decades, this was the life experienced by millions in South Africa — a nation divided by a system of institutionalised racial segregation under the brutal reign of the National Party from 1948 to 1994. And while she’s proudly called Australia home for over three decades, Beryl fears we’re heading down a similarly problematic path. Beryl has painful first-hand experience in institutionalised racism. As a girl of mixed race, she was classified as “coloured”, and missed out on many of the opportunities offered to her white peers. In her new memoir, A Darker Shade Of Pale, she describes a world where white and black people were separated — at the detriment of the latter — in almost every aspect of life. Instead, she was taught that, to be successful, she should strive to be as close to white-presenting as possible. “You must make sure that your hair is straight. White people judge your class by your hair,” she was told while applying for a job. The book follows Beryl’s journey from an upbringing under apartheid in South Africa, to seeking freedom in Australia, where she eventually worked for the NSW Government. When Beryl was a child, tens of thousands of non-white families were forcibly removed from certain suburbs. Their houses were bulldozed and their towns destroyed. As a teenager, she had to undergo a special medical examination in order to become a teacher — a requirement of the government’s education authority at the Department of Coloured Affairs. During the exam, she was sexually assaulted by an older doctor. She never told anyone — partly out of shame, and partly from fear that authorities wouldn’t care. She regularly witnessed herself and her family being looked down upon — by members of the public, by hospital staff, and by authority figures — for the colour of their skin. Australia — at least, when she first moved here in 1982 — was a stark contrast.